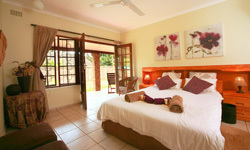 We offer comfortable and fully serviced accommodation. Breakfast can be served outside under the cool trees or in the Dining area. Tea and coffee is available in the Dining area at all times. Lunch and dinner is available on various tours/safaris or can be enjoyed at any restaurant in St. Lucia, all within walking distance from Marlin Lodge! With it’s humid subtropical climate, St. Lucia has so much to offer and to enjoy! From Deep Sea Fishing Charters to Night Drives to Turtle tours! 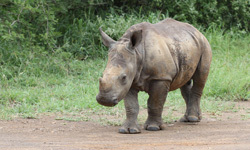 Enjoy a Game Drive in Hluhluwe or go Horse back riding, visit the crocodile farm, get a Thai Massage, do some snorkeling at Cape Vidal or experience a Hippo tour on a Barge on the Estaury … to name just a few! 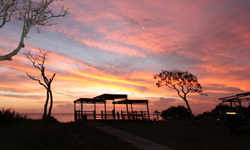 mangaliso Wetland Park, South Africa’s First Natural World Heritage Site. 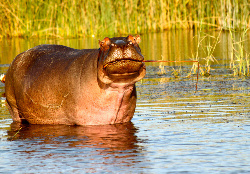 Click below to make a booking at Marlin Lodge. Copyright © 2013 Marlin Lodge. All Rights Reserved.